Washington Tax Services has been in business since 1989; and have limited industry accreditations or certificates. A company established in the 1980s is ancient in the world of tax resolution services, which makes Washington Tax Services one of the oldest and most stable businesses you will find. All of the customer reviews for this company on our website are solid ten out of ten scores. People seem most impressed with the professional attitude of the staff. Unlike some of their competitors, who boast of their professional accolades, memberships in prestigious industry associations and awards, Washington Tax Services doesn’t really mention any accreditations or accolades. They are certified with the National Association of Enrolled Agents, but there is no other mentions of any other certifications or accreditations. The experts at Washington Tax Services are comprised solely of Enrolled Agents. They don’t have any Tax Attorneys or CPAs on staff. Unfortunately, this might be a limiting factor in the types of expertise they can provide. 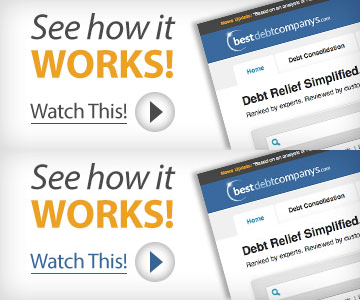 No information about a money-back guarantee is offered. Presumably, if they had a refund offer that was worth mentioning, it would be a selling point. Washington Tax Services is one of the oldest and most stable tax resolution companies on the market, pioneers in the industry whose methods have been imitating by competitors. At the same time, their staff is limited to Enrolled Agents only, they do not seem to have a money back guarantee, and they do not share their minimum tax debt requirements. Like most tax relief companies, WATAX likes to thoroughly assess a tax case before quoting a price. But the prices they do quote are flat fees that won’t change. WATAX will keep working with you until a resolution is made or they have done all that they can as your liaison with the IRS. For example, if the IRS rejects whatever they initially propose (such as an Offer in Compromise or Penalty Abatement), they will prepare an appeal of the resolution for no additional fee. And if the appeal fails, they’ll work on another solution, such as getting your case in uncollectible status. Depending on how long the case has taken and if the appeal rejection was due to client neglect, a reopening or continuation fee may be required, but they want to be fair in taking individual circumstances into account. Interestingly, WATAX emphasizes that they have clients pay the flat fee in full or over a short period of time. They say that some of their competitors, by contrast, charge monthly payments over a year and use it as an excuse to work slowly on their clients’ cases. WATAX makes this determination on a case by case basis, because there are a variety of services they offer as well as a variety of circumstances that can impact a client’s chances of success for relief. However, WATAX assured us that they only charge for services if they will be cost-efficient for the customer—not, for example, if the customer can simply work something out with the IRS. WATAX was founded in 1989. 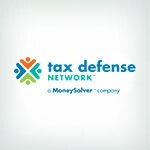 Yes, they offer a free consultation to help you understand your specific tax situation a little better, and to help you determine the best path to relief. Varies depending on the service you are receiving. Washington Tax and Jay were fantastic. I know I was a pest but no matter what Jay remained calm and walked me through everything. They handled all the correspondence with the IRS and I am very happy to say got my problem handled way over my expectations. This is the best thing you can do these guys are fantastic. I can not recommend them enough you will not be dissatisfied. I was super aprehensive (and probably agrivated the folks at the Washington Tax but they would have never let me know) but it was the best move I ever made. They did everything. I had no dealings with the IRS. Shockingly enough, I have retained them to continue doing my taxes even though my case is closed. I recommended them to my elderly in laws as well. They could not have been more patient (as they are retired and things take longer to click) and kind. These folks are professional and responsive. Thank you for all you have done.